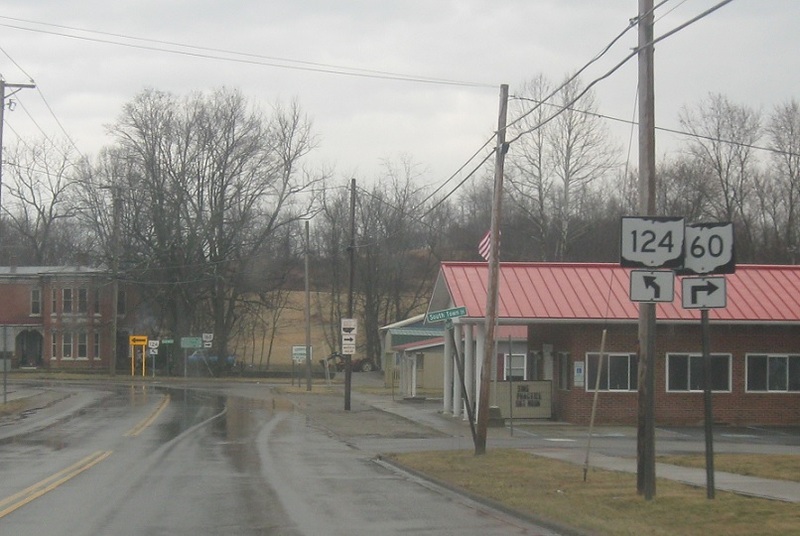 Reassurance shield as 124 joins 160 through downtown Wilkesville. In two blocks, turn right to stay on 160 south. Turn right for 160 south to Vinton and Gallopolis. 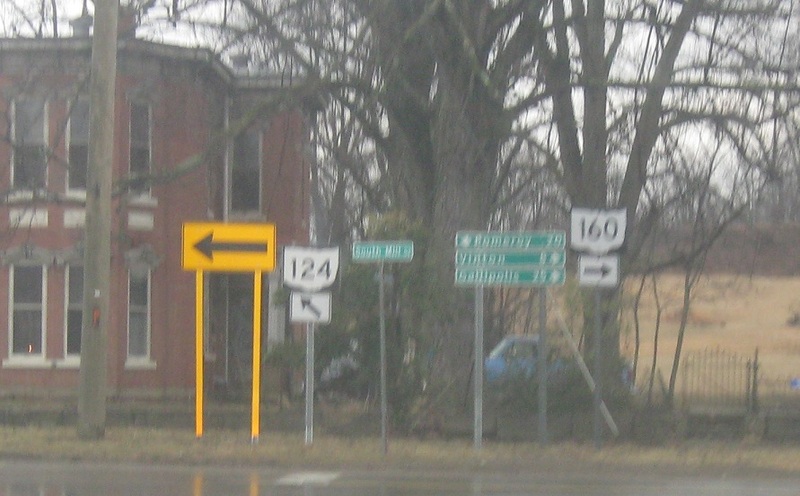 Keep left for 124 east to Pomeroy.